WASHINGTON D.C.– Congressman Henry Cuellar (TX-28) announced that the extension of the 2001 and 2003 tax cuts passed Congress last night, with a vote of 277-148. The bill now goes on to be signed into law by the president. CBO estimates suggest that extending the Bush era tax cuts- which were set to expire on Dec. 31, 2010- for all Americans, could reduce unemployment to below 9% and generate economic growth of 0.6 to 1.7 % of GDP. Unemployment benefits were also renewed in the bill, ensuring that under federal programs, the unemployed can receive benefits beyond the 26 weeks that individual states provide. The extended benefits expired Nov. 30. 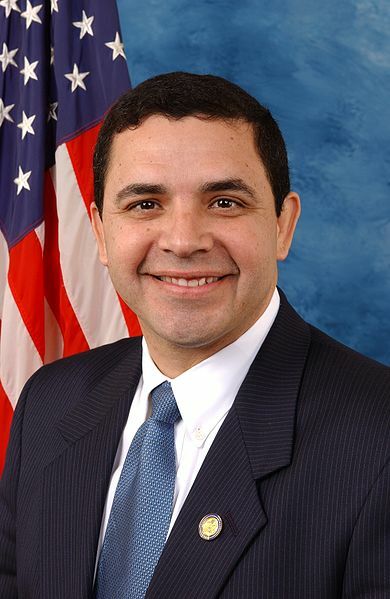 “With so many American struggling to find employment to provide for their families, extending their benefits simply had to be done,” said Congressman Cuellar. For all families making less than $250,000 a year, the bill permanently extends the 2001/2003 tax cuts, including current tax rates, marriage penalty relief, capital gains and dividends rates, and $1,000 child tax credit (for earnings above $3,000) Almost all small businesses-- 97%-- will benefit from the tax cuts. The bill also included deductions for state and local sales taxes in lieu of state income taxes for individuals, which will greatly benefit Texans.